Although Boasting BiZ offers a wide range of world-class marketing services—such as Branding, Web Development, Market Research, Print and Apparel—one of its key areas of focus is in serving industry-leading SEO Services. Boasting BiZ offers affordable search engine optimization services that drive results, aiming to project businesses to the forefront of major search engines such as Google, Yahoo!, and BING. Boasting BiZ demonstrates its dominant presence in the industry by reaching the top of the search engines for the term: SEO Fort Lauderdale. 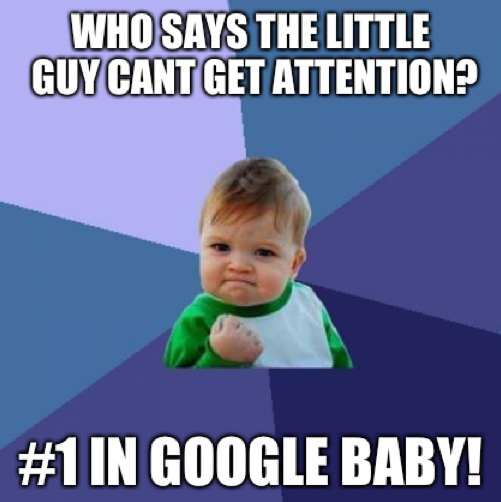 As a testimony of their own services, and, naturally, as a technique to gain their own personal competitive edge, Boasting BiZ has been targeting “SEO Fort Lauderdale” as a key phrase that reflects on the company. The techniques they use to attain the results—something anyone can confirm with a momentary online search—are the very techniques that have molded the company’s reputation as professional, effective, thorough, and affordable. Search engine optimization services can be tricky, time-consuming, and expensive; on the other end of the scale, hiring a savvy professional team can be the best investment for your business or personal website, resulting in quality search engine placement spanning multiple search engine sites. That way, when you type something—as, in their example, SEO Fort Lauderdale—your site would be among the top to appear. Boasting BiZ’s techniques are used together in their equation for success: link building, creation of unique content, guest blogging, and on-site SEO. Devising a “link building campaign,” Boasting Biz puts each client on the map with many back links from relevant local websites, using top keywords, and monitoring local competitors and the client’s website with Google Analytics. Over 85% of adults and teens use search engines to search for local businesses in Fort Lauderdale—being on their digital map is absolutely crucial. And establishing strong internal links and back links in a website is the strongest technique for driving traffic to the site. Boasting BiZ offers Link Building Services that specialize in creating quality back link campaigns to increase online visibility; they’ve found that 80-90% of website page ranking depends on their link building campaigns. About Boasting BiZ Based in Fort Lauderdale, Florida, Boasting BiZ offers a spectacular array of benefits for each of its clients. The company’s online marketing encompasses several aspects along with SEO: social media marketing, location and targeting of key phrases and keyword research, pay-per-click managements and Adwords, monitoring website analytics, stellar content development, building search engine friendly web designs, strategic reputation management, and providing video marketing, consulting services, and much more. The team works aggressively and consistently to keep their clients ahead of the competition, preferring to create trends instead of following them. This entry was posted in News / PR by Donnie Strompf. Bookmark the permalink.